Big, goofy bubble fonts. Obvious stock photos. 3-D clipart. Most designers are glad these are things of the past. But at one point in time, they were cutting-edge. The truth is, every brand needs a revamp from time to time. 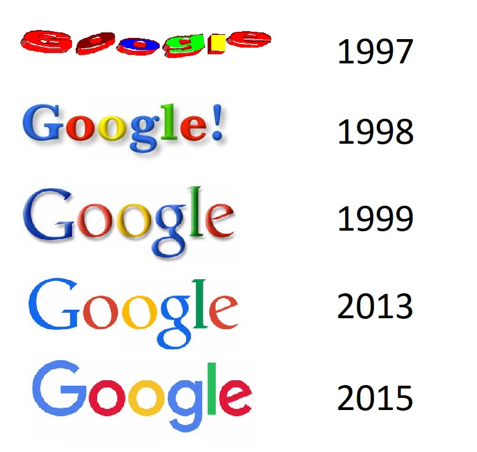 Take a look at Google’s logo changes, for example. The original version is a far cry from what we see when we start a search today. It may seem obvious that Google was in need of an update – but it can be harder to tell when you’re analyzing your own brand. Plus, a complete rebrand comes with a lot of other implications and responsibilities, from reworking your messaging to updating all of your design files and style guides. Before you make the leap, it’s important to consider whether your brand is truly outdated, or if it just needs a few tweaks (sometimes called a brand refresh). To help you out, here are some surefire signs your brand is living in the wrong decade. #1: You don’t have a responsive, mobile-friendly website. A responsive website means one that doesn’t require excessive scrolling, zooming, or other maneuvering to view on different devices. The easiest way to test this is to whip out your smartphone and open your site. If this was your first time visiting it, would you feel frustrated? Are there any technical issues with closing popups, opening links, or other logistics? What do images look like? You may be tempted to shirk this one, but the stats show that most users are accessing websites on mobile. And with voice search on the rise, Google’s a lot more likely to shower you with fame and glory (i.e., put your site at the top of search results) if your site is optimized for mobile devices. In the dark ages of the internet, it wasn’t uncommon to see neon yellow body text on a black background – or bright green on red. Today’s browsers and web design platforms make it easier than ever to create modern, sleek graphics, so if you haven’t given your site an overhaul since then, it’s probably time. There are tons of tools out there – even free ones! – that can make non-designers look like pros. #3: Your competitors’ designs look completely different from yours. It’s not always best to go with the flow. Sometimes, and especially if you’re in a creative field, it makes sense to disregard trends and competitors, and instead forge your own path. However, if there are vast differences between your site and your competition, take note. If the differences are purely aesthetic (they use a cool color scheme, while you use a warm one, for example) you probably don’t need to change. But if their sites have improved functionality, stunning images or graphics, or unusual effects that create a powerful user experience, you may want to incorporate those ideas into your own branding. #4: Your main offering, or result, has changed – but it lingers in your messaging. It’s perfectly normal for a business to start as one thing and transition into something else. Look at Apple: once just a computer company, it now sells phones, smartwatches and TVs. If your brand has made a similar shift, is it reflected in your messaging? The last thing you want to do is confuse your prospects about what you do. #5: Your prospects don’t understand what you do. Pay attention to your initial conversations with prospects. Further, talk to your sales team about the most common questions (and objections) that come from your leads. If your brand creates an impression that doesn’t accurately indicate what you do, it’s definitely time to rethink your brand identity. #6: Nobody’s visiting your website. Check your traffic and unique visitor stats over the last several months. There’s no rule of thumb for what’s normal and what’s not, but if you’ve seen a decline in traffic or unique visitors over time, a brand refresh can be the perfect way to re-generate buzz around your business. #7: You’re in a tech-focused industry. If you’re, say, a tailor or a plant nursery, you may not need the latest parallax scrolling effects on your site to stay ahead of your competition. However, if you’re an internet-based business, an agency, or any business that touts forward-thinking as a value, you should be giving your site a regular refresh. How can you expect your future clients to believe that you’re tech savvy if this isn’t reflected in your own web design? #8: Your brand lacks meaningful visuals. Design is, at its core, a language. 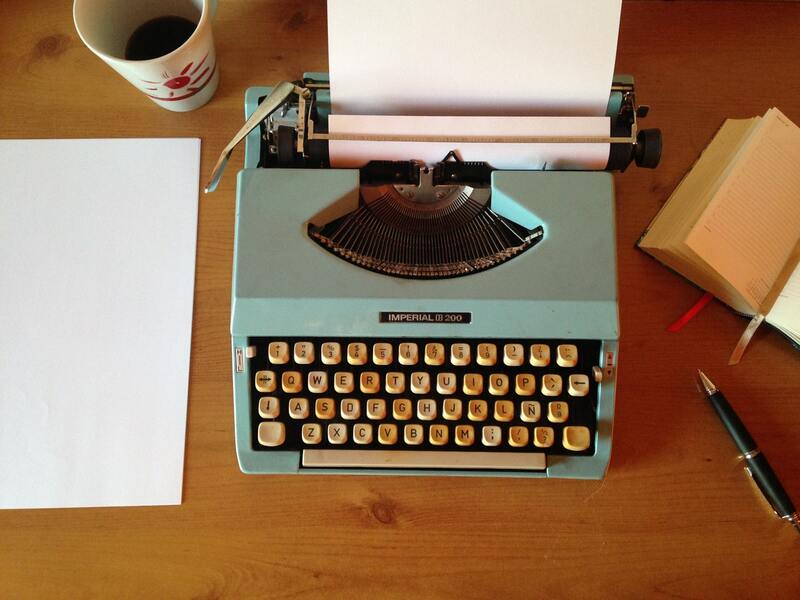 Like writing, its mission is to communicate an idea or feeling. And when done right, good design can share ideas faster and with a greater chance of recall than text alone. Modern brands are leveraging the power of digital technology to include images, illustrations, animations, infographics, and more. Take a hard look at your brand: does it rely too much on text to communicate your identity and offerings? If so, it might be time to hire a strong conceptual designer to help you reimagine your brand with images.